Do you love to cook? Have you ever wanted to learn the secrets of preparing a truly authentic Italian meal? Then find out how you can make your next holiday one to remember and take a cookery course in the heart of the Tuscan countryside. This week we talk to Rita Lucherini, a chef and hotelier who grew up in Scotland and moved to Barga, the idyllic hilltop town in Tuscany where her Italian family was originally from, to set up her business and now runs Italian cookery classes there. She tells us more about her love of food, what makes Barga so special, and what people send her after they finish her course! She has also kindly donated one of her most popular recipes, so you can try making traditional Tuscan food at home – you can find it at the end of the article. What made you decide to move to Barga, in Tuscany, where your family is originally from, and set up your hotel/restaurant? I decided to move to Barga in 1986 with my husband and 2 small children to open our restaurant and then in 2002 our Hotel La Mezzaluna. I came to Barga every year on holiday with my parents who were born here in Barga. I loved coming here. I had my grandparents here and then my mum and dad also retired in Barga in 1988. Barga has a close connection to Scotland, and is known as ‘the most Scottish town in Italy’, why is that? Barga is called the most Scottish town in Italy and is also renowned as one of the most pretty medieval villages in Italy. After the silk industry ended in the late 19th century, many people from the Barga area ended up emigrating to Scotland to work in fish and chip parlours, ice cream shops and restaurants. They worked hard to build a home in Barga so they could one day retire in their home land. Barga, Tuscany. the most Scottish town in Italy! Tell us your favourite thing about Barga. I have many fond memories of coming to Barga in the summer. My grandparents lived on a farm with animals, cows rabbits and chickens. I remember trying to milk the cow with my "Nonno" when I was 12 Every night people from the nearby villages came to collect fresh milk from my "Nonna" She also made bread every week as well as cakes and fresh pasta. She was a very active lady who lived until 96 years old. She had a whisky every day after lunch!! How long have you been offering Italian cookery courses? What made you decide to start teaching? I had the restaurant open for 28 years, then decided to open my cooking school. I have been doing single day lessons for about 6 years and my holidays now for 4 years. Tell us about the local cuisine, what are the commonly used ingredients? 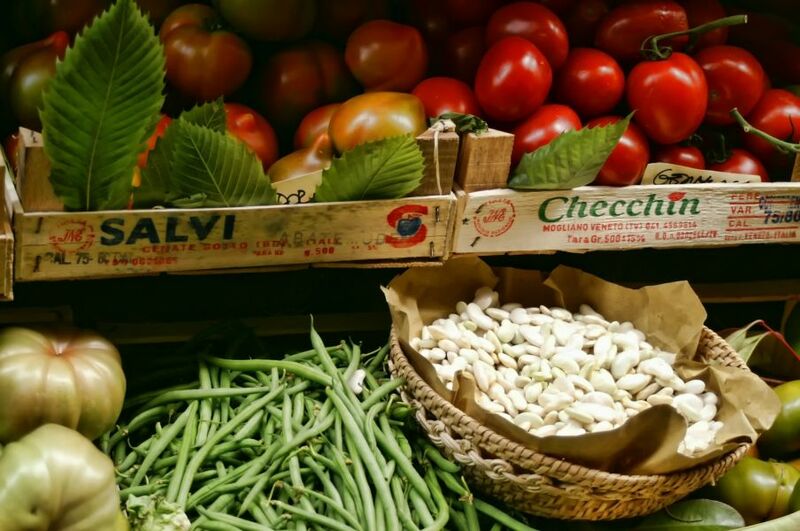 What makes it different to other Italian regional cuisine? Our local specialities include porcini mushrooms, farro (a grain similar to spelt) chestnuts, game, wild boar. We also make a lot of fresh pasta. Each region has its own specialities, Tuscan Cooking is very simple, very few spices, a little garlic and a little hot chili pepper. In other regions, mainly the south of Italy, they tend to use more garlic and hot chili pepper. Why should people enrol in your cookery course? What will they learn? On my Cooking Course people will learn the basics of Tuscan Cuisine. I very much enjoy sharing my secrets with them. We shall cook together and enjoy a fine glass of wine together. We shall visit the nearby towns and they will experience our way of living which is very slow and laid back. They will have many memories to take with them but what gives me great satisfaction is when they return home, they first order their pasta machine and then start cooking and send me the photos of their finished results!!!! So there you have it, if you are interested in Italian food and culture this is a great place to start! find out more about the course and the start dates here. Zuppa di farro - serves 8 pers. Chop all veg including pancetta and garlic and simmer in 5 tablespoons of olive oil. Drain beans, put 1 can into hand blender and 2 directly into soup. Add farro (rinse first) into pot with 3 lt of water salt, pepper, stock cube, stick of fresh rosemary tomato puree. Bring to boil then simmer for 1 hour. 20 minutes from end of cooking time add potatoes. Let us know how you get on with it in the comments below!